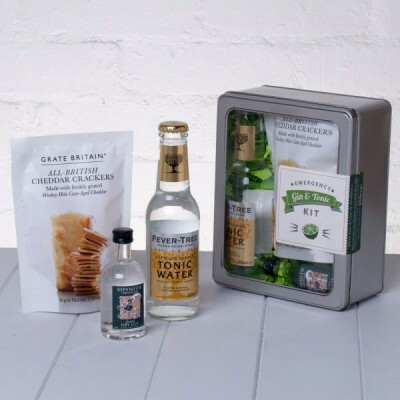 His favourite drink in a sleek and stylish kit! 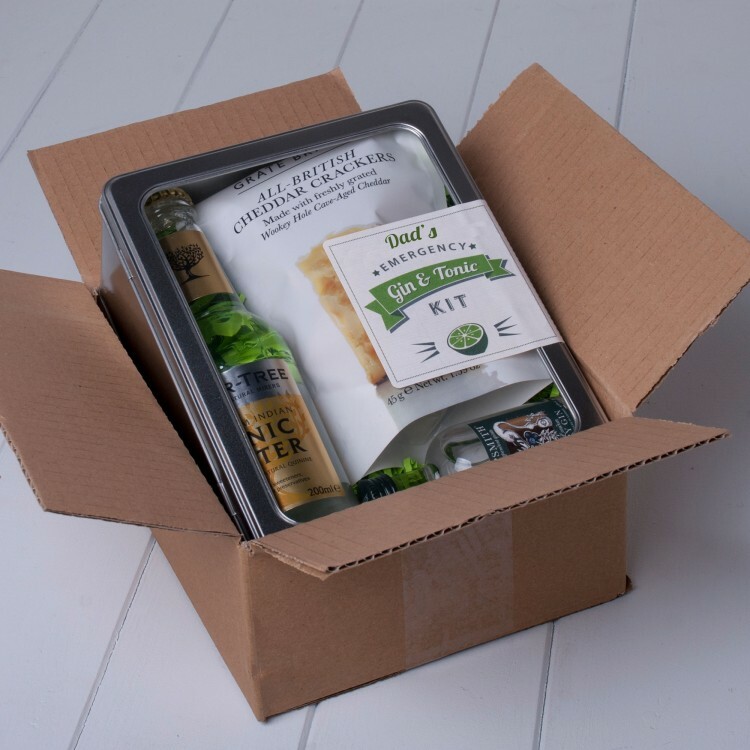 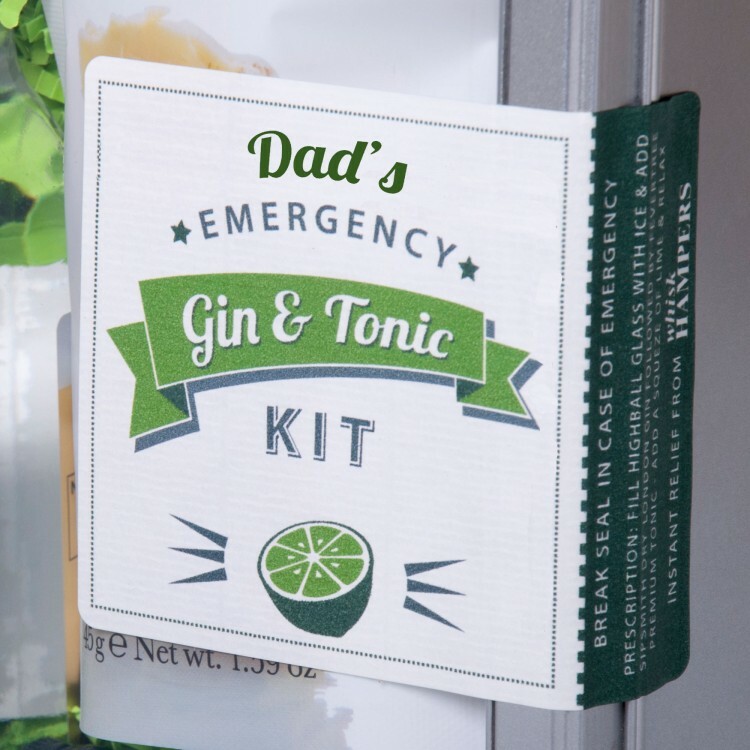 If you have (or know) a Dad who can't live without his Gin & Tonic, then imagine his face lighting up as he opens up his very own Emergency Gin & Tonic Kit. 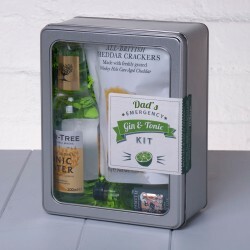 An instant Gin & Tonic makes a unique Father's Day Gift, Birthday Present or Christmas treat or is a wonderful way to show just much you appreciate your brilliant Dad and all he does for you. 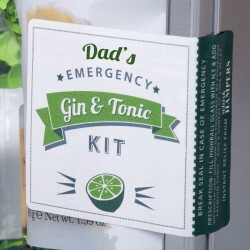 When life's pressures get too much and a cool, long, refreshing G&T is only solution, all Dad needs to do is just break the seal on his Emergency Kit and his favourite tipple is just minutes away. 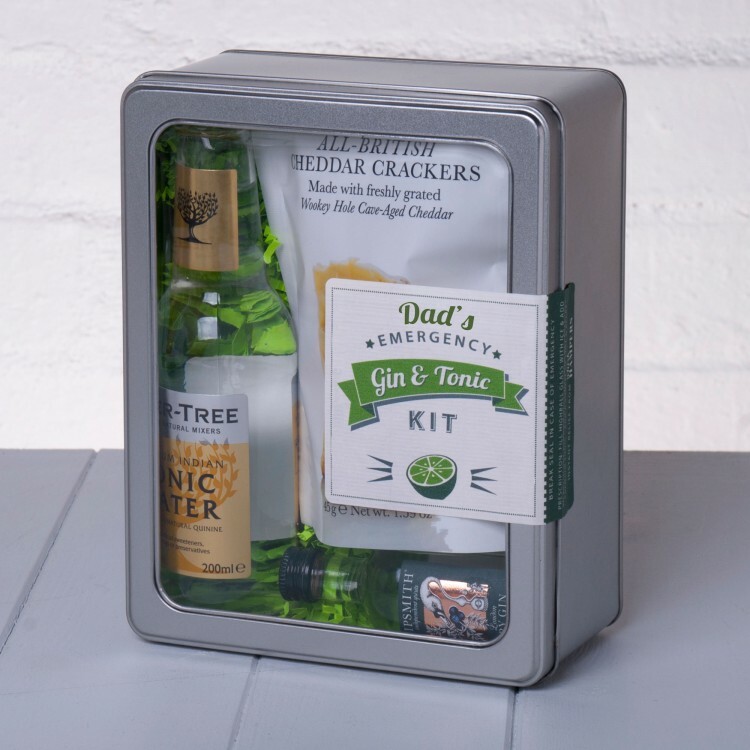 Whether Dad succumbs to temptation or not, it's a given that he'll hang on to the tin, think of you and smile each time it catches his eye. The ultimate G&T (for the ultimate Dad) relies upon the very best ingredients so we've hand-picked artisan Sipsmith London Dry Gin and premium Fever Tree Tonic Water. If your Dad prefers his G&T on-the-go, we've also included a brilliant Citrus Saw Bottle opener - just add ice and a slice!